Last week we talked about how the crazy winter weather in 2014 might impact your auto body repair times. Today I want to answer some common winter accident questions. Exponentially more car accidents have happened this winter because the weather system or Polar vortex, as it has been defined, has spread wintery weather, ice and snow into areas not normally affected by winter weather. And for those of us who are used to it, the volume of snow and ice has caused its share of winter driving car accidents as well. Q1. Who covers the other driver’s damages and injuries if I caused the winter car accident? If you live in a no-fault state, then each diver’s own personal injury protection (PIP) coverage covers all of their injuries. If you were at-fault for injuring someone else and that party’s PIP limits are exceeded, then your bodily injury liability coverage could be used to cover that portion of the claim. To repair your own vehicle that was damaged in the winter accident, your collision coverage will cover the vehicle and you will need to file a claim with your insurer. After paying your deductible, your car insurance company should pay the remainder of the repair costs. However if your damages are within 80% of the salvage value of the vehicle, your insurer may find that the car is a total loss and pay you actual cash value for the vehicle, minus your deductible amount. Typically, if you’re the one who lost control – even if it were due to a weather-related condition like black ice – you’ll be found at-fault by insurance companies for the accident. This means your rates could rise due to a surcharge at your next renewal. If your car insurance rates do rise due to an 2014 winter car accident and any claims that were written against your policy, then it may be time for you to comparison shop. You may be able to save hundreds of dollars a year by shopping around and finding the car insurance company that offers the best rates for your particular situation, such as those policies with accident forgiveness. Tip #1: Claim adjusters are more prone to accept or deny liability and to move forward with the coverage investigation in order to move the process along. This is especially true after the sheer volume of winter car accidents in 2014. Tip #2: You will want to get all the information ready, so when your claim is ready, everything will be on check and you can easily get it processed and paid. Tip #3: You also need to get the other driver’s insurance information, and find out where your car is and where your car will be fixed which will save the adjuster some time and will speed up the whole process in your favor. Tip #4: Do try to call the police and get some kind of report file. Many times people leave the accident scene thinking that everything is very clear or that they were not at fault. Tip #5: Opposing parties start to negate facts after they leave the scene. Get a police report because it might be the only way to prove your claim. If you can get witnesses’ names and numbers, then you would be in an even better shape. Tip #6: Pay attention to what the other drivers are saying. In many occasions, there will be comments like “I could not see because my window had snow on it” or “the defroster wasn’t working properly”. Tip #7: Some other people will come out and tell you that they do not have snow tires (especially in the south) or the tires that they have are old. 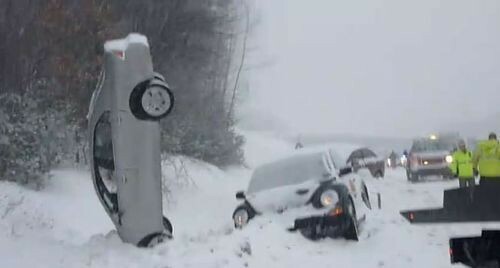 Tip #8: The 2014 winter weather car accidents happened because of the weather conditions, and because many drivers simply are not used to the weather that has hit their state such as what happened in Georgia and Alabama where drivers were not careful enough and did not take the necessary precautions to drive safely. Remember that if the vehicle in front of you losses control because they did not have snow tires, and you hit them from behind. It is possible that you will be held 100% at fault for the accident. Most states regulations require you to keep a safe distance between you and the vehicle in front of you. If you hit them, then it will be argued that the distance between the two vehicles was not safe, placing a heavy burden on you. Q2: I slid into another car and damaged my car and the other vehicle. Am I covered? If you have collision coverage, your insurance will cover damage to your vehicle after you pay the deductible. If you don’t have collision coverage, damage to your vehicle won’t be covered. However, if you are determined to be responsible, your required liability insurance will cover property damage and/or injuries to the other vehicle and its occupants up to the limits of your policy. You will need to check with your insurance company to see what your limits are as they vary from policy to policy. Q3: I slid through an icy intersection and caused an accident? Am I at fault? Q4: What if someone in my car is injured as a result of my 2014 winter weather car accident? State laws regarding coverage varies, but in states such as Oregon for example, their state requires every insurance policy to provide a minimum of $15,000 personal injury protection coverage to take care of reasonable, accident-related medical expenses as well as some other costs such as wage losses or funeral expenses. In Texas, it is $30,000 just for example. This coverage is available regardless of who is at fault in a crash. There are 12 states (Florida, Hawaii, Kansas, Kentucky, Massachusetts, Michigan, Minnesota, New Jersey, New York, North Dakota, Pennsylvania, and Utah) that require mandatory personal Injury Protection (PIP), other states it might be optional. Q5: What is the difference between comprehensive coverage and collision coverage? Comprehensive insurance covers you for physical damage other than collision. This includes losses from fire, theft, hail, falling objects, vandalism, animal collisions and floods. After you pay the deductible, comprehensive insurance will reimburse you if rock chips shatter your windshield, for example. Collision is defined as colliding with another object or overturning. Neither type of insurance is required in some states. Q6: Will my car insurance cover a rental vehicle while my car is being repaired? This is especially important following the high volume of collision resulting from the 2014 winter weather, and the long delays at body shops. Your auto insurance does not automatically cover the cost of a rental car, (key word there is “automatically”). However, you may have purchased rental reimbursement coverage when you took out your policy because it is relatively inexpensive. If you have this coverage at the time of an accident, it will pay for a vehicle while yours is being repaired. Q7. The other driver’s insurance company is asking me to give a recorded statement, do I have to? You need to give a statement to your insurance company, however some attorneys advise that you DO NOT give a recorded statement, even in a winter car accident setting, as this could possibly be used to deny your claim. Most attorneys will advise that you DO NOT give a recorded statement to the OTHER DRIVER’s insurance company even if you think you are at fault. Depending on the severity of the accident or the claims, you may want to consult with an attorney immediately before proceeding with the claims process. 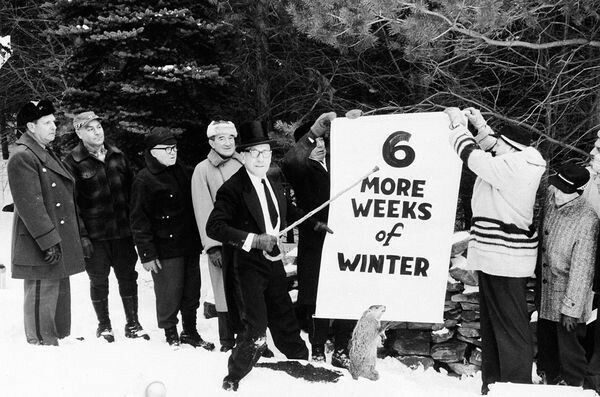 As of this writing, our groundhog friend has predicted six more weeks of winter weather for 2014. This year will certainly go down in the history books as a year of broken snowfall and ice records. If you were involved in a car accident due to the insane 2014 winter weather, hopefully these commonly asked questions will help you navigate your way through the insurance and claims process. Marla B. had this to say about Allen's Collision Repair, Inc.